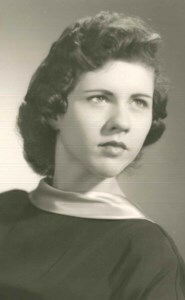 Newcomer Family Obituaries - Nadine Janice Glynn 1938 - 2019 - Newcomer Cremations, Funerals & Receptions. Nadine J. Glynn, age 80, of Toledo, passed away March 22, 2019 at Ebeid Hospice Residence. Nadine was born November 29, 1938 in Toledo to Grady and Helen (Church) Keck. She was employed with Champion Spark Plug (Dept. 8) for more than 22 years then worked various other jobs before retiring in 2004. She enjoyed puzzles, trying new restaurants and spending time with her family and animals. She is survived by her daughter, Brenda, son, Bill (Kim) Glynn, Jr., sister, Elaine Stiff, along with her six grandchildren and six great grandchildren. Nadine will be greatly missed by all who knew her. Add your memories to the guest book of Nadine Glynn. My name is Art Brubaker. I grew up with both Nadine and Elaine at 125 Eastern Avenue in the old south end. I was very young when they moved, but my lasting memory was the horendous burn that occurred to either Nadine or Elaine (probably Elaine). Both girls moved from 115 Eastern Ave when I was quite young (maybe 6 years old). My family moved into the house they moved from (I think 115 Eastern Ave.). I would enjoy hearing from Elaine just to say hello and catch up on how the family lived. I remember their grandfather who lived upstairs at 115 Eastern. He was very kind and quite talkative. I hope I hear from Elaine or someone from the family.